Me in high school! This was the summer of my junior year. 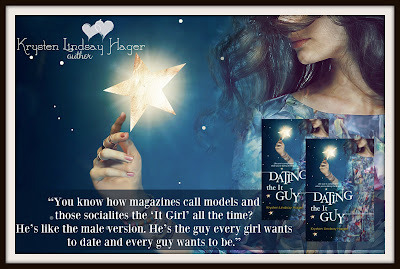 Dating the It Guy is Here! 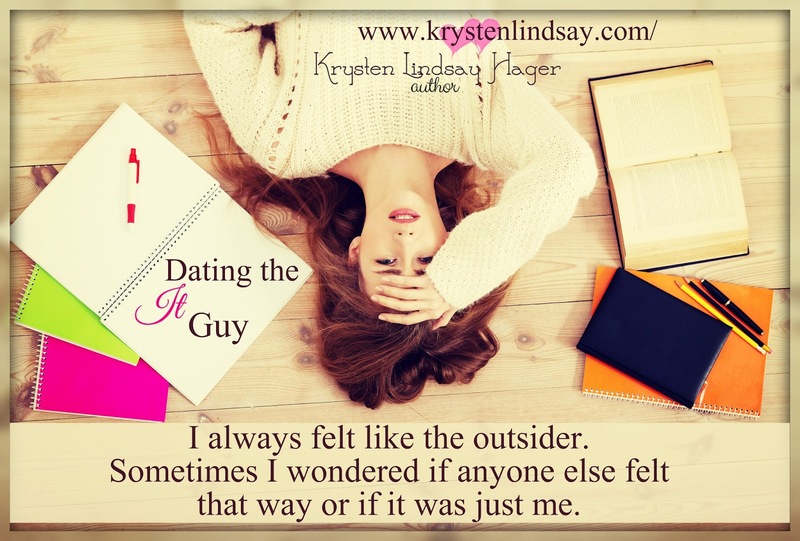 Bio: Besides mining her teen years and humiliating moments for her novels, Krysten is also a book addict who has never met a bookstore she didn’t like. Krysten writes about friendship, self-esteem, fitting in, frenemies, crushes, fame, first loves, and values. She is the author of True Colors, Best Friends...Forever?, Next Door to a Star, Landry in Like, and Competing with the Star (The Star Series: Book 2). Her debut novel, True Colors, won the Readers Favorite award for best preteen book. Krysten's work has been featured in USA Today, The Flint Journal, the Grand Haven Tribune, the Beavercreek Current, the Bellbrook Times and on Living Dayton. âSeriously? I wonder if she applied there because Brendon did,â I said. âMargaux, shut up,â Kylie said. I hoped Lauren was just trying to follow Brendon, but what if they had planned this whole thing while they were dating? What if he convinced her to apply there so they could go to college together, wear matching American flag sweaters with big scarves while drinking hot chocolate, and jump into leaf piles just like a preppy clothing catalog. At least now I didnât have to worry about them reciting poetry to one another in South Bend, but still, what if they had made plans to go to school together? Kylie was trying to make me feel better, but Lauren was far from pathetic. After all, she was pretty much the âMost Likely to Succeedâ poster girl. While she was out overachieving and saving the world without messing up her perfect, bouncy hair, I was trying to get through each day. I tried to push away the image of Lauren and Brendon holding hands and drinking hot chocolate under a stadium blanket. 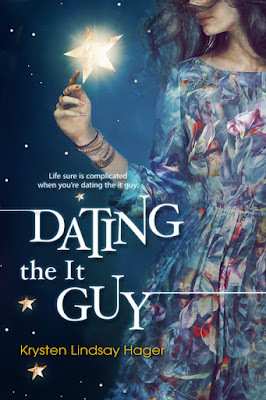 Bio: Besides mining her teen years and humiliating moments for her novels, âKrysten is a also a book addict who has never met a bookstore she didnât like. Sheâs worked as a journalist and writes young adult, middle grade, new adult, and adult fiction as well as humor essays. She is originally from Michigan and has lived in Portugal, South Dakota, and currently resides in southwestern Ohio where you can find her reading and writing when sheâs not catching up on her favorite shows (she's addicted to American Dad to the point where she quotes episodes on a daily basis and also loves Girl Meets World). She's also a third generation Detroit Lions fan. Welcome to the St. Patrick's Day Hop, hosted by IndieSage PR! Follow the hop, enter to win great prizes from 85+ authors and bloggers to help celebrate! ​Winners will be chosen at random. This giveaway will be open until 3/20 at 11:59 PM CST. Don't forget to enter the main giveaway and WIN a Kindle Fire, a $100 Amazon Gift Card, or a $75 Amazon Gift Card! Facebook is not affiliated or responsible for these giveaways. Information collected is NOT collected by Facebook. In signing up for this promotion, participants release and indemnify Facebook from all liability. Love the new trailer for Dating the It Guy! Videos by O did the trailer. The book comes out on March 21st, but you can pre-order it here and paperbacks are coming soon! ﻿Check out Leanne Rathbone's book Grace! Check out Leanne Rathbone's debut novel Grace: Book One of The Revelations Series, which is now FREE for a limited time only! Grace is quickly discovering that she isn't who she thought she was, her life isn't what it should be and the world around her is as different as it can get. After her best friend is brutally murdered in a case of mistaken identity, she realises she is being hunted by a group of inhumane beasts...sent by the last person she would have ever suspected. Sweet Surrender is a 92,000 word sweet, regency romance novel. Can a lost love be rekindled? Seven years later she returns as chaperone to her niece and unfortunately Lord Ackerley is also in Town for the Season. Moving around the small circle of the ton stirs up feelings she has kept hidden. Embarrassed and ashamed that she made a mistake in ending their previous relationship, she tries to avoid further contact. Ackerley, stunned by her second rejection, pursues her to discover the truth. Is it ever too late for a second chance at love? Julianna made a graceful curtsy and finally managed to raise her eyelashes and survey the room. It was not playacting that caused her sudden intake of breath as she saw her old beau again. In fact, it took all the force of will she possessed to keep her reaction within bounds. At that first brief encounter, she had been too surprised to take in his splendour. No one had told her the viscount had grown even more handsome in the ensuing years, the strength of his jawline more pronounced, and just the very slightest of grey at the temples in his nearly ebony hair. Forcing her jaw not to drop open in shock, Julianna felt her stomach flutter with nerves as she gripped tightly to her friend’s hand and tried not to cause an ill-bred scene in Catherine’s parlor. Wendy May Andrews has been in love with the written word since she learned to read at the age of five. She has been writing for almost as long but hasn’t been sharing those stories with anyone but her mother until recently. This is Wendy’s fifth book with Clean Reads. She loves to hear from her readers and can be found at her website, on twitter or Facebook. And now you can hear from Ellen herself! I’m so thrilled to write a post for Krysten’s blog about my recently published debut novel, The Dragon Sleeps. When I first started writing it, I intended it as a stand-alone novel. It was only when I’d finished that I knew I had to write more. I’m working on the second book now and a third will follow. Each will have a totally new mystery but will follow the lives of the main characters, Alexandra Thornton, Edith Blackburn her best friend/adopted sister and Benedict Archer, manager of Thornton Antiques. The Dragon Sleeps is an historical murder mystery. There is a love story but it isn’t the main focus. It’s set in the 1920s in Victoria, Australia. A Chinese Antique’s dealer and his son deliver a Ming dragon statue to the Thornton family home. The Thorntons are antique dealers and collectors and have an antique store in Melbourne. Most of the story unfolds at the Thornton’s lavish and magnificent mansion and grounds. I wanted the house as a backdrop to the story but really it’s almost like another character. So much of the mystery revolves around the mansion, in such places as the tower and the mysterious muniment room. I wrote the book through Alexandra’s point of view. She’s a modern woman. At the beginning, she has not long turned 21 years old. She and Edith have returned from Finishing School and Alexandra spent the next year as Melbourne’s new darling of Society. It was fun while it lasted but she wants more to her life. In the late 1920s, after the Great War (World War I) times have changed and she wants to work. With Benedict Archer’s help, she convinces her father to allow her to work in Thornton Antiques. Before Alexandra has time to start her new job, there’s a murder at Thornton Park, and everyone is afraid for their lives. Alexandra decides she must discover exactly what is happening. In her search, she finds herself, and uncovers an eighty-year-old secret. The trouble is that this knowledge places her life in danger. The question remains: What treasure is worth killing for? Thank you so very much, Krysten, for welcoming me to your blog. It’s been a pleasure. Ellen Read is the author of The Dragon Sleeps - an historical murder mystery romance novel, and Love The Gift - an eBook Novella, a time slip romance, a story to heal grief. She loves to read, fiction, non-fiction, poetry. She particularly loves history and stories of ancient myths and legends. Authors such as Edgar Allan Poe, Agatha Christie, and Victoria Holt, the latter of whom wrote gothic mystery/romances, have influenced her own work.